In studying business innovation and success, it appears that collaboration is the key to producing breakthrough creativity. My post on Monday dealt with the dire consequences of a failure to collaborate, and on Wednesday I talked about thriving communities as an important byproduct of collaboration. Today's post focuses on the role of collaboration in producing breakthrough creativity. America's economic future does not look very bright right now – the result of Congress and the president's failure to collaborate on raising the debt ceiling, which has had negative repercussions on world financial markets. How can we revive our flagging economy? The president and business experts point to the need for innovation as a catalyst for growth. In studying business innovation and success, it appears that collaboration is the key to producing breakthrough creativity. A failure to collaborate brought the economy to its current sorry state, but renewed cooperation will generate the innovative ideas that will jumpstart and drive economic growth. It makes sense. In a society as complex and technologically sophisticated as ours, major projects require the coordinated contributions of many talented people. Groups of people collaborating together have accomplished monumental tasks that they could not have done on their own, dating back to cavemen banding together to kill a mastodon, or Leonardo da Vinci painting the Sistine Chapel with the support of 13 other artists, or the hundreds of thousands of developers working on iPhone apps and helping to double Apple's share of the global handset market in the last quarter. Most innovative companies, like Google, Zappos, Foursquare, and Intel, are designing their organizations to maximize collaboration, which they understand is critical for generating creative breakthroughs. In today's Darwinian economy, only organizations that find ways to tap the creativity of their members are likely to survive. America's ability to survive and thrive is directly tied to our leaders' willingness to collaborate in developing creative solutions to our country's most pressing economic and social problems. As PR counselors, we must take a leadership role in encouraging our organizations and clients to collaborate with all parties involved in brainstorming the best solutions to problems. Working together is the cornerstone of producing breakthrough ideas that can be game-changers, whether in the for-profit, non-profit, or public sector. If our president and Congress were to collaborate closely to address America's current economic predicament they could, together, create a robust new economy for all. 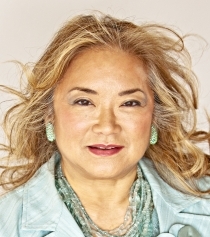 Patrice Tanaka is the co-chair, chief creative officer, and whatcanbe ambassador for CRT/tanaka.